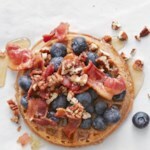 You'll savor every bite of this breakfast-in-a-cup that features blueberries, bacon, waffles, and eggs. Preheat oven to 325°F. 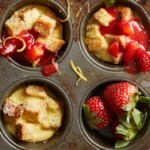 Lightly coat four 8-ounce ramekins with cooking spray; set aside. 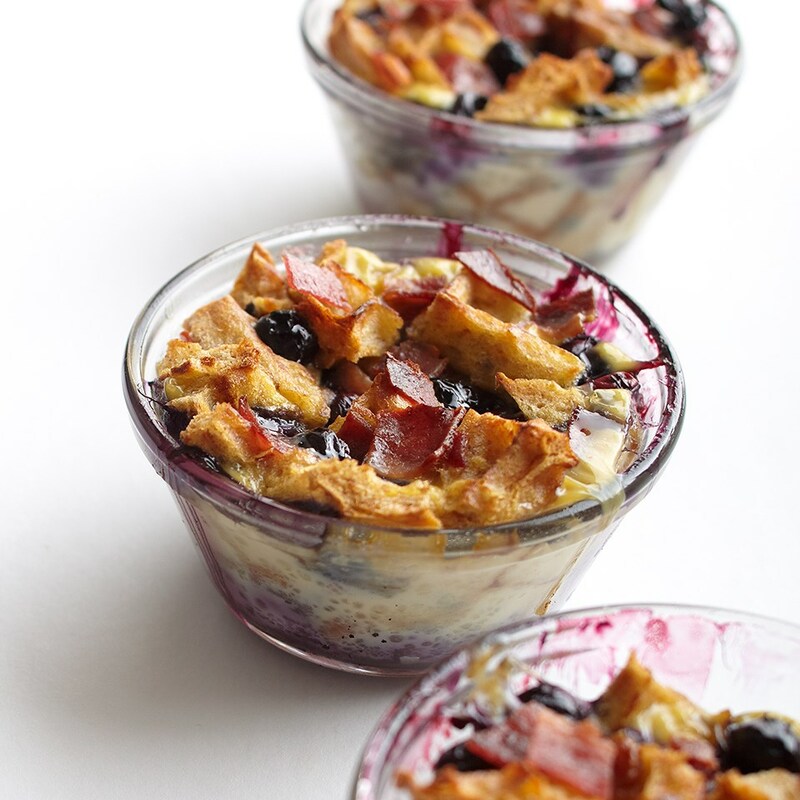 In a medium bowl, combine waffle pieces, blueberries, and bacon; spoon evenly into ramekins. 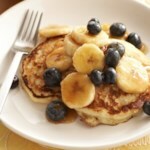 In a medium bowl, whisk together egg, milk, syrup, melted butter, and vanilla. 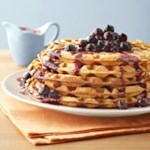 Slowly pour egg mixture over waffle mixture; press down lightly with the back of a spoon. 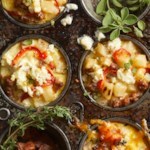 Place ramekins on a baking sheet. Bake for 40 to 45 minutes or until puffed and a knife inserted in centers comes out clean. Cool in ramekins on a wire rack for 5 minutes. 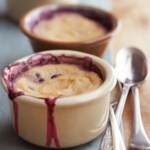 If desired, loosen from sides of ramekins and slide out onto serving plates. Serve warm.